Damselflies (suborder Zygoptera) are insects in the order Odonata. 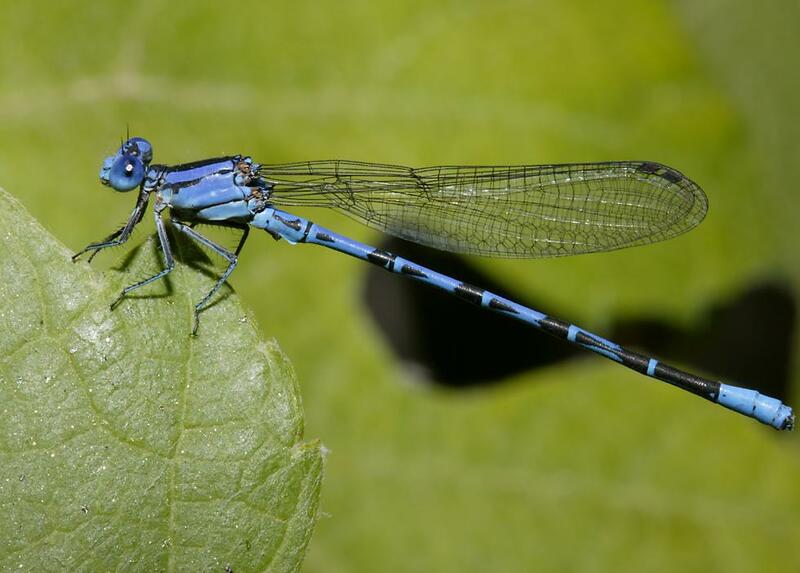 Damselflies are similar to dragonflies, but the adults can be distinguished by the fact that the wings of most damselflies are held along, and parallel to, the body when at rest. 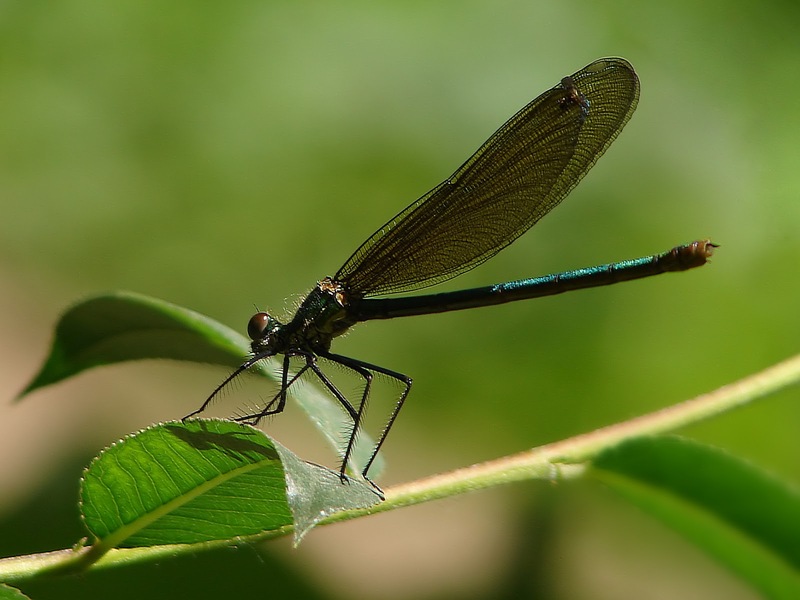 Furthermore, the hindwing of the damselfly is essentially similar to the forewing, while the hindwing of the dragonfly broadens near the base. 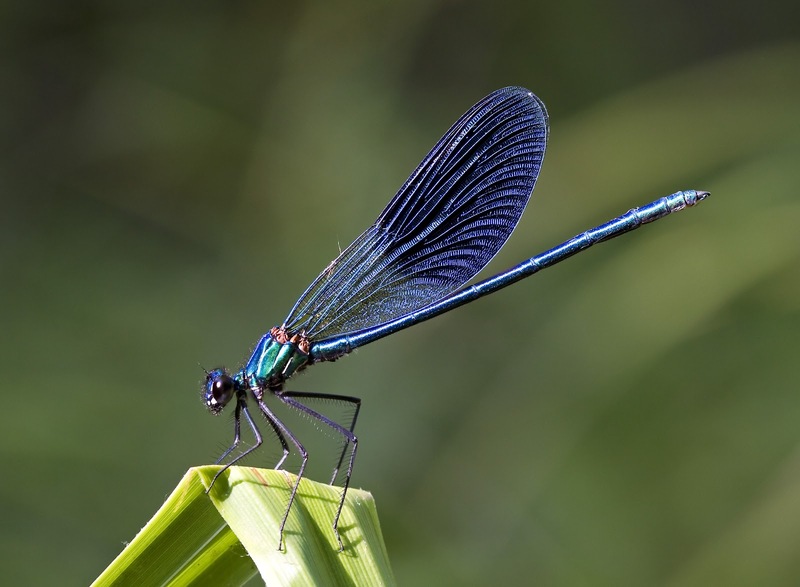 Damselflies are also usually smaller than dragonflies and weaker fliers in comparison, and their eyes are separated. Zygoptera comes from the Greek zygo meaning joined or paired and ptera meaning wings. 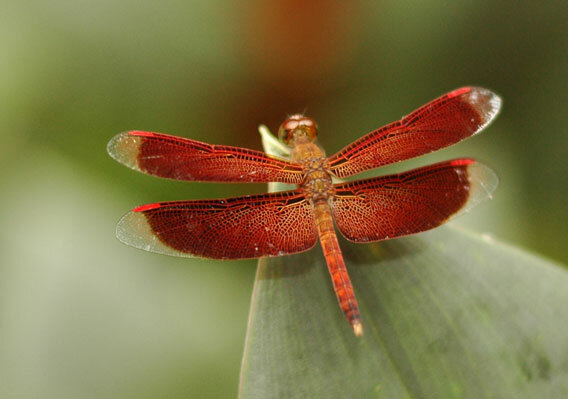 They have two pairs of similar wings, unlike the dragonflies (suborder Anisoptera), whose hind wings are broader than their forewings.